What can be said about .38 Special that has not already been said. Champion himself and produces Champion offspring. .38 consistently throws the fine qualities of himself through incredible fiber and conformation. 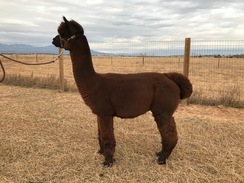 Ladysmith is an elegant dark brown Silver Charm daughter. She has a lovely style, balance and is a top producing dam. She has passed her positive traits along to Manchester. $2,000 Oh so worth it! 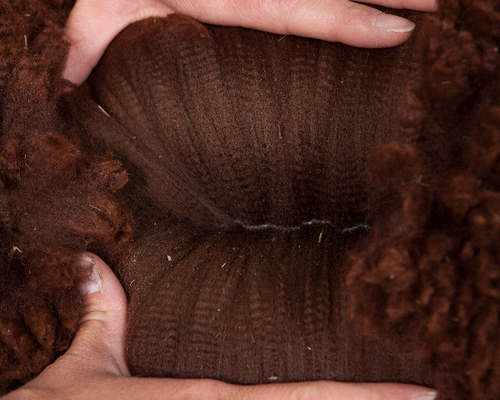 Manchester's 2014 blanket shear weight is 6# of gorgeous fleece! WOW!! 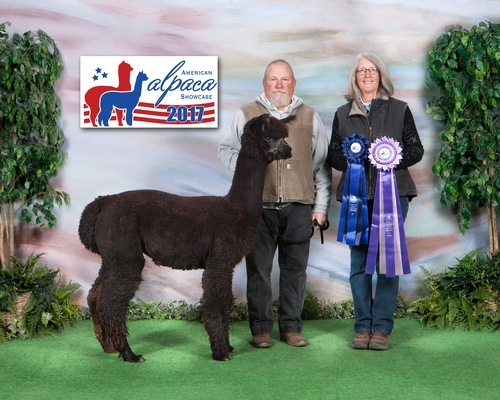 *this fleece won 1st and RC at the 2015 GWAS level 3 fleece show* Manchester's 2015 fleece took a 2nd place in class at 2015 AOA Nationals at the age of 55 months! 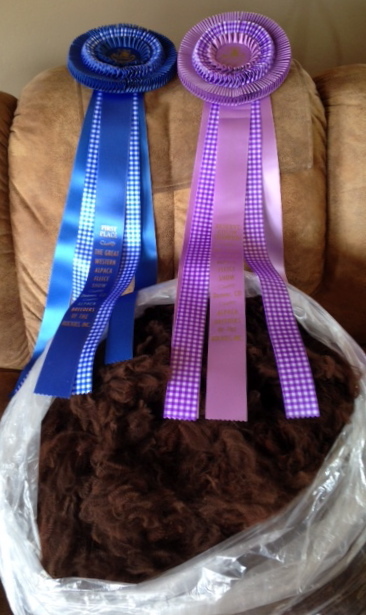 FallFest 2017 garnered a 1st place and Color Champion with an 'E' class fleece! The MAN has it! Manchester's offspring are looking great! As was our intention, he covered several colors of dams so that we can prove out what he will throw. He has thrown rose grey, true black, fawns and browns. Our observation at this time is that he throws a shade or two darker than the dam. Manchester' daughter PJA's Mariah claimed a Reserve Color Brown Female banner at GWAS 2016! Mariah remains in our herd as a foundation female. We are now offering 1/2 interest in NeverSummer's Manchester!!! Sharing this incredible male can be a great benefit to both parties as Manchester is throwing beautiful offspring. Dark Fawn when bred to fawn, True Black when bred to black and Rose Grey when bred to Rose Grey!! Manny is showing us he is a great producer of black! He threw 5 black offspring in 2016! His black offspring sell - heck some as crias with dams before we can even list them. 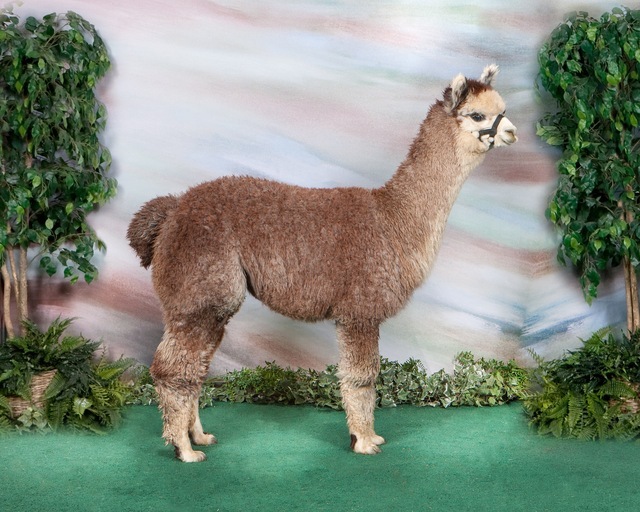 For instance, PJA Summer Windsong sold as a cria and is sure to go on and be another showstopper!! While NeverSummer's Manchester is standing at his home in Hesperus, CO we would also love to see him work more and stand with a partner in a different state. Contact us for more information! First Place 2014 TxOLAN - Cathy Merkley- fleece qualities of consistency, fineness, density, great architecture, and presence with incredible substance of bone. Reserve Color Champion 2015 GWAS Level 3 fleece show- Wini Labreque- commented on holding fineness, wonderful feel and hand to the fleece as well as fleece weight- scored 77 out of 100. 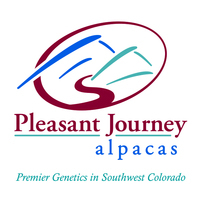 First Place fleece 2015 FallFest (fleece at 55 months of age)- scored 78/100 - Sara Jane Maclennan- Fineness! Fourth Place 2017 AOA National Fleece Conference- class of 7 with a score of 75/100. This is Manchester's 6 yr fleece! 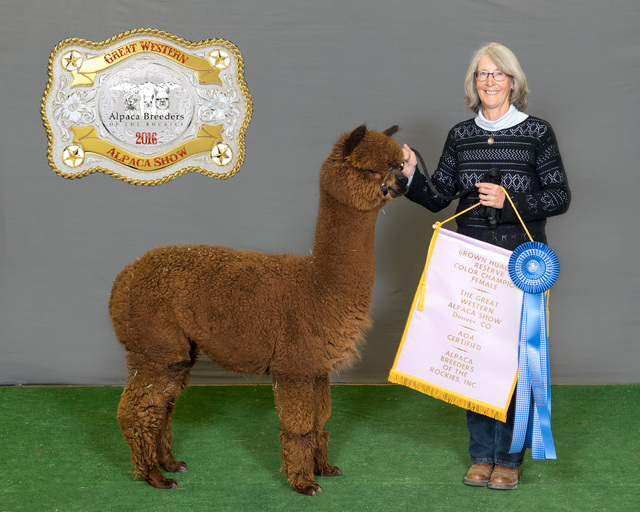 Color Champion 2017 ABR Fall Fest Fleece show This is Manchester's 6 year fleece! We will even accept credit cards!